Dr Lewis Lee holds an adjunct teaching post with the National University of Singapore Dental Faculty as well being a Visiting Dental Specialist with the National University Hospital. He was the President of the Singapore Dental Association in 2001 – 2003 and recently in 2007-2009 when Singapore hosted the World Dental Congress. Dr Lee is married with 3 lovely kids and is an Elder of Hope Presbyterian, a Member of the Medical Missions Foundation and involved in various healthcare missions to Thailand; Indonesia; India and the Philippines. He is also very much involved in the lives of the young people within his church and sits on the Church Missions Committee. 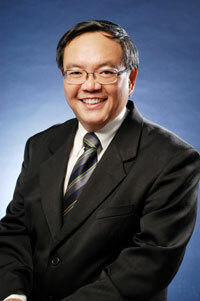 Dr Lee currently sits on the Complaints Committee of both the Singapore Dental Council and Singapore Medical Council. He has joined RCOLL since 1996 and specializes in Oral Surgery and Dental Implant Surgery.